Just when I thought the world was already cruel and nasty enough this story comes out that shows just how depraved people really are. On Feb. 21, the Vigo County Sheriff’s Office responded to a 911 call about a boy in cardiac arrest at a Fontanet home. The child, Cameron Hoopingarner, was taken to the local Union hospital, where he was declared dead, The Associated Press reports. Calling the discovery “beyond terrible,” Sheriff Greg Ewing said Hoopingarner was blind, severely malnourished and weighed less than 15 pounds. As a result, sheriff’s officials and state police arrested the four adult co-inhabitants of the home, including Cameron’s two guardians. The biological parents of the victim have been informed of the circumstances of their boy’s death. Officials state they will not be delivering a statement about their reactions to the mistreatment and death of the 9-year-old. 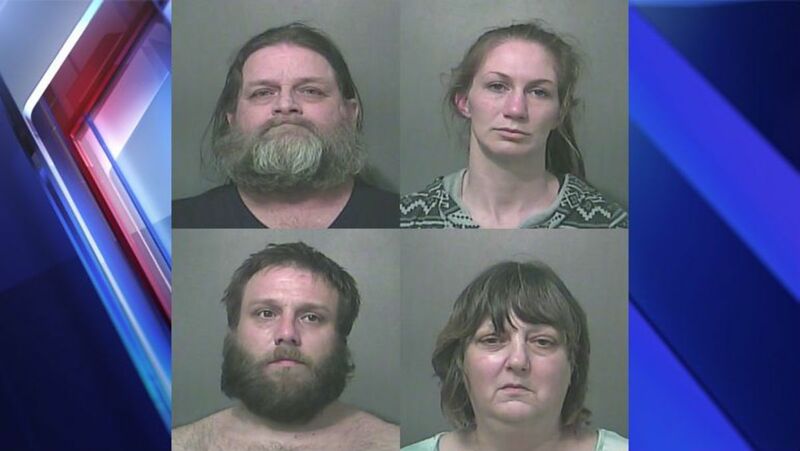 According to details released about the case Feb. 22 at a Vigo County Sheriff’s Department press conference, Ewing stated all four adults were charged with child neglect resulting in death. Kraemer and Travioli were additionally charged with failure to report child neglect. “It makes me mad, makes me mad that somebody could do this to a child, let alone a child that has physical handicaps and was blind … was given to a guardian to take care of. And this is how he gets treated? This is what he deserves? To be starved to death? What kind of animals are they?” Ewing stated WTHI-TV reports.